Peter Laird's TMNT blog: "Ten Seconds Later"
I work for the magazine GEEK in France ( here’s our website, www.geeklemag.com ). We’re the french version of the US magazine GEEK. We would love to interview M. Peter Laird for our September issue. Christian, thank you for your interest. I would be happy to do an email interview. I have a TMNT poster that was given to me from my in-laws while we were cleaning out their home to get ready for their moving sale. 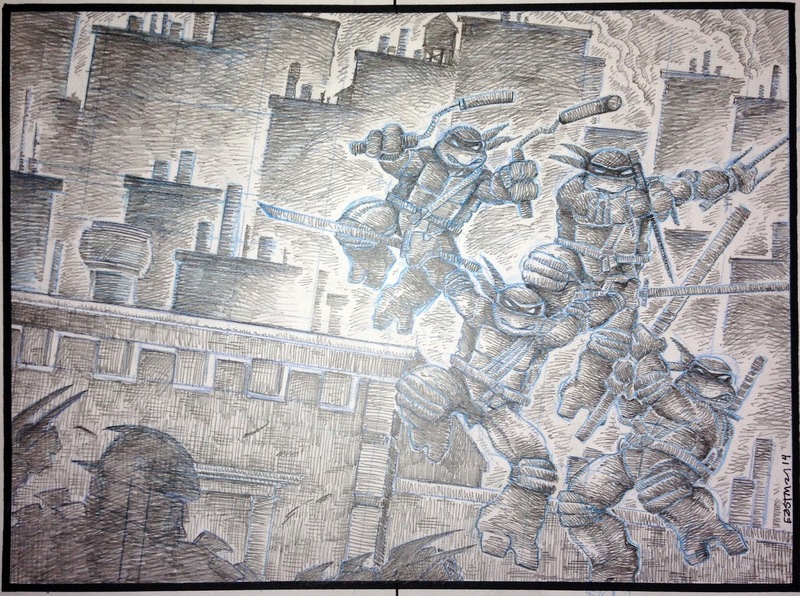 It is still in the original plastic wrapping, is marked Western Graphics Corp, 1988, TMNT No216, etc. I have been searching for more information on it, but can't seem to find it anywhere. The artwork is the same as the cover of the 1st Archie comic, but other than that, I have nothing. My mother-in-law has no idea how they acquired it, and I was hoping to find out more. Would you be able to help? Any information would be greatly appreciated, as I have a collector interested in it, but I have no history to give him. It's so great to see that you and Kevin are working together again. As a fan, I can only hope to see more in the future. Thanks for posting the play by play for your projects! I love seeing your thought process on how you do things. I'm sure you hear this all the time, but you and Kevin have influenced me much like Jack Kirby influence both of you. 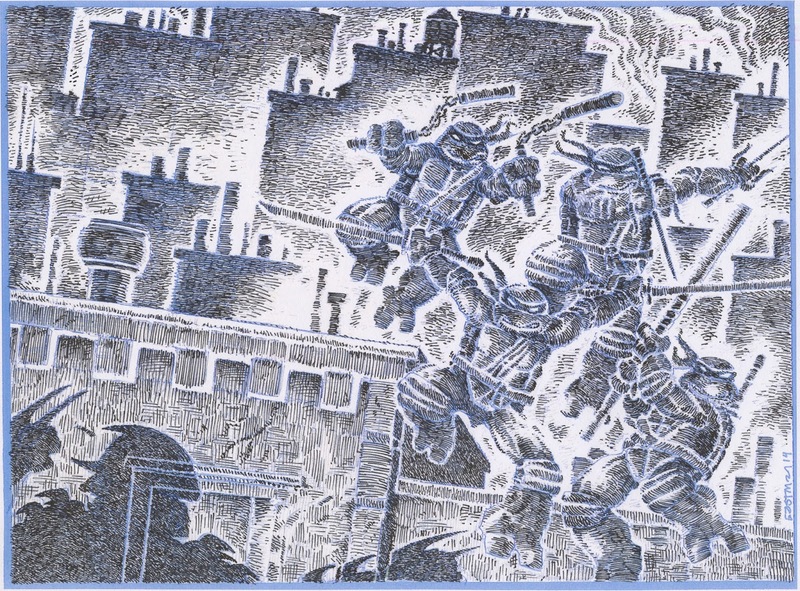 I remember drawing the Ninja Turtles like crazy when I was a kid and wanting to draw just like the comic book movie adaptation. Little did I know as a kid that Jim Lawson did the pencils to that issue, becoming one of my influences as well. Anyway that moved me onto other comics and other artist and other influences, one being Jack the King himself. 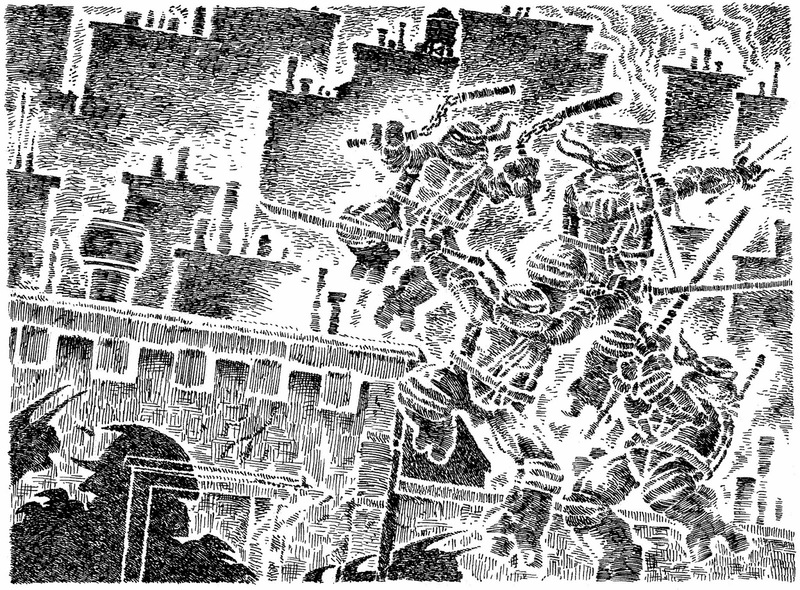 I didn't become a comic book artist like the dreams of my childhood, but I did become a graphic designer all thanks to four mutant turtles. If you don't mind, I'd like to pass on a little something I've learned along the way to you. I'm not sure how you set up your non photo blue print, but I've come up with a little trick that I've had to do a few times at my job. I imagine you're using Photoshop. What I usually do is: desaturated the image completely, then I go into the channels and copy a channel, it could be any channel once it's desaturated, then I make sure that the channel is set to selection. Afterwards I make a selection out of that channel and I go back to Layers. I set the color to R:164 G:221 B:237 for RGB or C:33 M:0 Y:5 B:0 for CMYK. Once you have all that set you can "option/delete" to fill the color into your layer and print! You get a perfect non photo blue printout that wont show up when you go to scan again. Marco, thank you for the kind words. It's always a joy to hear that our efforts inspired others in their endeavors. 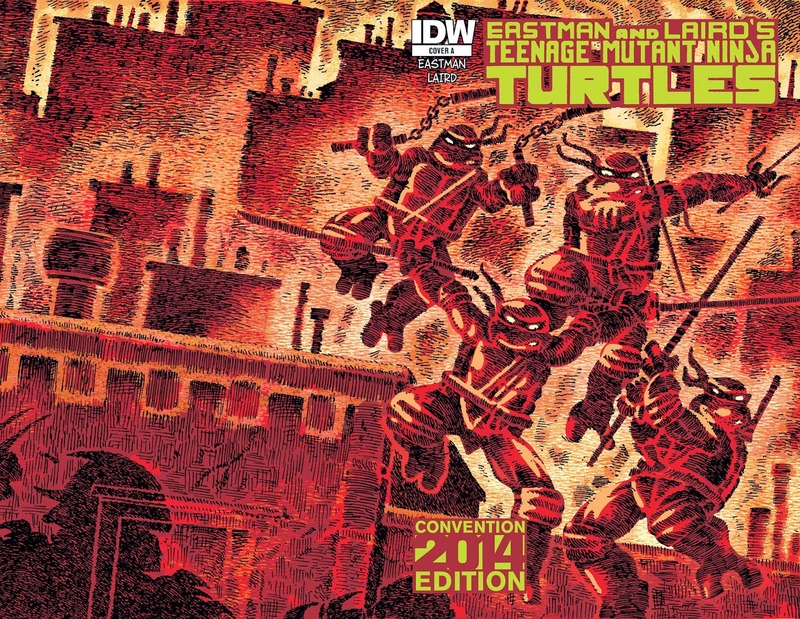 love that you guys didn't forget Donatello's extra sword. I'm just seeing this now. This is great! It's wonderful to see you two rekindle your friendship and creative partnership.